A story about what matters when all is said and done. Neil has said he based Clockwork Angels loosely on Voltaire’s Candide , which is a tale of an adventurer who is born into the most unfortunate circumstances and finds himself in the most outrageous situations, yet with native optimism and smarts, he always finds a way out and even ends up wealthy and on top of the world but then gives all that up to live a simple life. Neil takes a different approach. His story is about a young man (named Owen Hardy in the novel) who was happy enough growing up on a farm but when he became a man he yearned for adventure. So, he sets out for the city, has a series of adventures, and through it all he maintains his native optimism, despite witnessing the worst kinds of betrayals and cruelty. As his twilight years approach, he returns not to the farm of his youth but to a plot of land on which he and those close to him wind down their days cultivating a garden. In the end, he’s loved and respected, which is all you can hope to achieve in a world that, despite what we’re told, is not governed by any overarching plan. Refers to annealing, which is associated with using heat to transform metals. At first I thought this was wine, but it’s winter. Here’s how this got figured out. When burned in the air, zinc takes on a fluffy white character, so in ancient times it was known as philosopher’s wool, white snow, or flowers of zinc. Gold is associated with everything that a society holds in highest esteem, so the metal translates into strength, warmth, and so on. This is associated with intelligence and extroversion, someone who’s on the top of his game. Refers to the oils in plants that are used in the separation and purification of metals. Associated with the devil. Quicklime generates heat by burning chalk or limestone. That the symbol looks something like a pitchfork might give its meaning away. Associated with transformation, or maybe reincarnation. I say this, because it conveys the sense that once something rots away and becomes putrid, it can then come back into something new. So, there’s a rebirth element here. Related to Venus, Aphrodite, and beauty. This is definitely where you want to end up. 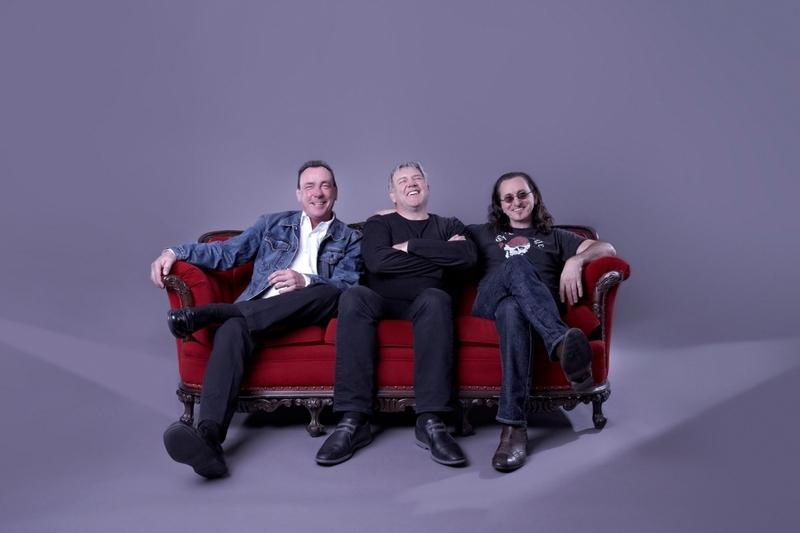 Incidentally, the “U” in “RUSH” on the album cover stands for amalgamation, which would suggest that the three parts of the band are stronger as a unit than each is by itself. The order of the 12 chapters doesn’t exactly follow the order of the runes on the clockface. And Neil has said in interviews that this was the case. So, here’s how things unfold based on the order of the 12 tracks, not the order on the clockface. Copper relates to beauty, yet the protagonist of the story, Owen Hardy, wants to leave the farm he’s been happy living on up to this point. He’s a young man and wants to see the world, so he’s blind right now to the beauty, the bucolic setting, that’s surrounded him through his young life. The world lit only by fire, from the lyrics, appears to refer to the flying steamships. If they’re anything like a steam-driven locomotive, these things are powered by red hot bricks of coal and belch extremely hot vapor clouds. Neil in a June 13 interview with Jim Ladd on the SiriusXM Deep Tracks program says the world is governed by a benevolent watchmaker, who wants to make sure everyone is content, but also wants to make sure no one rocks the boat. The young man isn’t content and he goes on to rock the boat. Chronos was the Greek god of time, which based on culture is depicted in different ways. The Greeks depicted him as a kind of serpent with three heads. The Romans depicted him as a naked man in front of the Zodiac wheel. And in later Western cultures he was depicted as Father Time, the bearded timekeeper. The angels representing land, sea, and sky are the offspring of Chronos and Ananke, the goddess of inevitability. The rune is metallurgy, which could refer to the metal gears and wheels inside the clock tower that make the hands and the clockwork angels go around. The clockwork angels represent icons, almost like religious idols, to which we pray good things will happen to us. They are containers for our hopes and dreams. By investing in them symbolic power to watch over us, like angels, they reduce the need for us to feel like we have to manage our lives on our own. Instead of using our reason to take matters in our own hands, we just say the angels will look out for us and we feel comforted by that, but of course we’re abdicating our moral responsibility to a mere idol. Neil on the June 13 Jim Ladd show says the angels are indeed icons, created by the government, to comfort people and also to entertain them. The protagonist, Owen Hardy, sees the anarchist with a bomb, bent on destroying everything and creating chaos. The anarchist tosses the detonator into the protagonist’s hands, and at just that moment others see the protagonist and suspect he’s the would-be perpetrator of chaos. He’s a victim of mistaken perception. Zinc relates to transformation. It’s one of the metals alchemists were able to change simply by burning it. It transforms into what’s known as the flower of zinc, an attractive fluffy white material. It might be that the protagonist, in an instance, has been transformed against his will, from an onlooker into the outcast. All that glistens is not gold. This is the mid-point of the story arc. Enter the love interest. The protagonist had a love in his earlier life but he put that behind him. Now he finds himself seduced by his own fantasies, which he projects onto a beautiful dancer he meets in the teeming city. In fact, the woman is not at all who he thinks she is, and once he sees past his fantasies, he sees he hasn’t found true love at all. Maybe the woman he loved in his earlier life is in fact the love that he’s been seeking. Neil says “halo effect” represents a psychological term for the effect beautiful people have on us. we tend to project onto beautiful people what we want to believe about them, and that blinds us to their true nature. Eventually we’re disillusioned. We come to mercury, which is all about speed. It also relates to animal spirits, which are everywhere as he journeys to the outer edge of civilization and reaches what might be thought of as the Wild West, where Eldorado is believed to exist, the place where opportunists gather to strike it rich or die trying, and where you take the law into your own hands. As Alex has put it, “You can hear the danger of the big city as our traveler approaches. Then when Neil comes in and we break out the riff, you’re there––you’re in the city with all of its excitement and opportunity and trouble.” Neil has said he had Cormac McCarthy’s “No Country fir Old Men” in mind when he wrote this part of the story. The symbol has many meanings, including multiplication, but it also means water and looks like waves, or rough seas, and that’s what “The Wreckers” is about. The protagonist’s ship is caught in a hurricane and it sees a beacon of light, so it steers there in the hopes of finding safety. But the light is a trick and the ship is destroyed on unseen reefs and only the protagonist survives. Neil has said he had in mind a small band of Englishmen hundreds of years ago who lived on the southwest coast of the country. They would set up a light in a dangerous part of the coast to attract ships at night caught in stormy weather seeking safety. The ships would crash on the unseen rocks, and the Englishmen would plunder anything of value. We come now to the symbol for oil essences, which are used in the transformation process. It might be that the protagonist, having endured betrayal and cruelty and the worst of human treachery, has finally scratched his itch for adventure and now has a better idea of what’s important in life. But he also recognizes that his adventures were essential for him to get to this point in his life, thus he says he’d do it all again if he had the chance. Parenthetically, Neil has said he himself has no desire to live his life again, so he’s taking a point of view that’s alien to him. Here we have the short musical interlude, the purpose of which is to confirm that the protagonist now understands the world has no plan, we live in an existential hell, but even with that understanding, he still chooses to live on the basis of his plan. Neil describes this interlude as a soliloquy, the follow-up to the first soliloquy in the story, BU2B2. Now we have lead, which is associated with rotting away and coming back to life again as something new. The protagonist bears no ill will to those who’ve done him wrong. Although the world appears godless, he still chooses to turn the other cheek. In a way he pities the people who’ve tried to hurt him, because he knows they’re in essence living in their own hell, whereas he has escaped that by governing his passion with reason. His goal is to put toxic people behind him, rather than let himself get worked up over other people’s behavior. The story in some ways seems like “Prime Mover” fleshed out, because that piece from 1987 is about the benevolent Platonistic watchmaker who creates the world—sets it spinning— and then leaves us to make the best of our time in the world. In “BU2B,” the boy realizes we’re spinning and no one is in control, not even the watchmaker, so all that we can do is enjoy the ride as best we can. That doesn’t mean throwing caution to the wind. The adventurer tries that in the first part of Clockwork Angels. Rather, it means combining a sense of adventure (emotion, passion) and a willingness to go for it with intelligent, thoughtful preparation and measured reaction to events as they unfold. But it also requires integrity. Treating others with respect and love (wishing even your enemies well), so that you are worthy yourself of respect and love. If you’re interested in learning more about the alchemical symbols, here’s what’s probably the authoritative source: Dictionary of Occult, Hermetic and Alchemical Sigils . A complete analysis of Clockwork Angels is included in Rush: Life, Liberty, and the Pursuit of Excellence . Background and lyrics for each track. ~ by rvkeeper on May 3, 2012. I agree with most of your posts, however at 4:00, I read that as either ‘to pulverize or purification’; 7:00 is I read as water or aquarius; 9:00 I read as alum or Neptune. Great job!!! Thanks for the input. You’re right, there’s overlap between alchemical symbols and zodiac symbols, so “multiplication” would also mean aquarius, and so on. Good point! Yeah, that’s a great point. Thanks. SO this is the story of this Album. I heard they were going back to more of a concept format with this new one. Well, it’s my take on what the story’s going to be based on the meaning of the runes. We’ll just have to wait and see what it ends up being. Thanks for the note.